Whistleblowers uncover the biggest abuses and injustices, such as the Murdoch fiasco, the Madoff scheme, the arms trade corruption, torture, warrantless surveillance, human rights and civil rights violations. Scandals exposed by whistleblowers routinely end up in the headlines, but their own plight is often overlooked by the mainstream media. Over the years, legal protections for corporate truth-tellers have evolved. Government whistleblowers haven’t been so lucky, struggling to keep their lives and careers intact. They’re subjected to retaliation at the expense of American taxpayers – being investigated, transferred, demoted, stripped of their security clearances and unjustly fired by the very perpetrators they’ve exposed. The premise is simple: those who rock the boat are tossed overboard, but not before they’re tarred in the sludge of false accusations and feathered in a flurry of frivolous investigations. WPA’s Mary Shelley, Tom Devine, is now laboring to breathe life into the Bride of Frankenstein. Meet the WPEA (Whistleblower Protection Enhancement Act), a bill S. 743 that is now pending in Senate. While the whistleblowers desperately lack adequate protection under the law, the WPEA fails to meet that need. S. 743 inherited many of its hideous traits from its predecessor, S. 372. The WPEA is replete with deceptive guillotines masquerading as haircut machines. For example, the bill seeks to give sweeping new powers of summary dismissal to the Merit Systems Protection Board (MSPB), a quasi-judicial agency in the Executive branch. Devine testified, “The MSPB should be the reprisal victim’s chance for justice. Unfortunately, that always has been a fantasy for whistleblowers…” The MSPB boasts a shamefully lopsided record of siding with the government in approximately 98% of cases. The Government Accountability Project (GAP)and the Project on Government Oversight (POGO) continue to hail MSPB’s effortsand praise the agency’s turnaround, while their clients keep on losing their cases before the MSPB. With very few exceptions, the Board serves as the house of horrors where whistleblower cases come to die. The WPEA seeks to speed up the process by allowing the MSPB to summarily dismiss cases without a hearing, based solely on agency affidavits. Just imagine how convenient it would be for the violating agencies! Since the creation of the Civil Service Reform Act of 1978, the executive branch fought for the authority to dismiss cases summarily. Those attempts have failed so far, but the WPEA might grant this twisted wish. S. 743 provides for a very limited right to seek a jury trial in federal court in some whistleblower cases. However, anyone wishing to cross over will first have to get past the gatekeeper – the MSPB. Only those who can survive summary judgment before the MSPB may go to federal court. Considering the Board’s record, less than 2% of appellants would stand the chance of succeeding in such an endeavor. It should be noted that the MSPB “Judges” presiding over the whistleblower cases are in actuality GS-14 General Attorneys (not Administrative Law Judges). MSPB AJ’s have no special training, are not bound by the Judicial Canon of Ethics, and their title of a “Judge” is purely honorary. The WPEA does not contain any substantive provisions to reform either the MSPB or the notorious Office of Special Counsel (OSC). The WPEA has other glaring loopholes, including inexcusable lack of protection for national security and intelligence community whistleblowers. It’s important to note that during the election, Barack Obama supported an original, stronger version of the WPEA bill, before it was disfigured and weakened. After getting elected, the Obama administration has advocated for passage of the weaker version of the WPEA that would severely undermine the rights of whistleblowers. The same “whistleblower advocates” pushing for this defective bill to be passed have also given a much-criticized “Transparency Award” to President Obama. 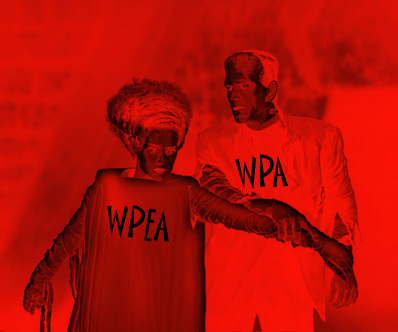 In the closing days of the last Congress, supporters of the deeply flawed WPEA pushed to get it passed at any cost. Prominent whistleblowers, strong whistleblower organizations and concerned citizens pushed back. The National Whistleblowers Center, the Federal Ethics Center, the National Security Whistleblowers Coalition and the No-Fear Coalition, helped enormously by citizen activism, continue to fight for a stronger WPEA bill. Thanks to their tireless efforts, some of the poison pills have been eliminated from the legislation. One such provision involved the amended definition of a protected disclosure, which would have lessened existing protections by excluding employees who blew the whistle on supposed “minor and inadvertent” violations of law, rule or regulation. This exception would have created an entirely new defense for agencies, potentially leading to the dismissal of meritorious cases or causing more protracted litigation. While this shortcoming has been corrected, others poison pills remain in the bill, insulating the offending agencies from even a remote possibility of whistleblower recourse. The WPEA desperately needs to be corrected before the bill is signed into law. Unless these changes are implemented, America’s unsung heroes will remain at the mercy of the offenders, aided and abetted by the morally defunct, ineffective agencies, such as the OSC and the MSPB, who would receive a carte blancheto continue ongoing suppression of whistleblowers on every level. We need strong, effective legislation – the Bride of Frankenstein won’t do. All concerned citizens and whistleblower advocates would be well advised to contact their elected representatives, demanding proper representation of “we the people.” We have an obligation to protect our whistleblowers, just as they selflessly protect all Americans from injustice, fraud and corruption.